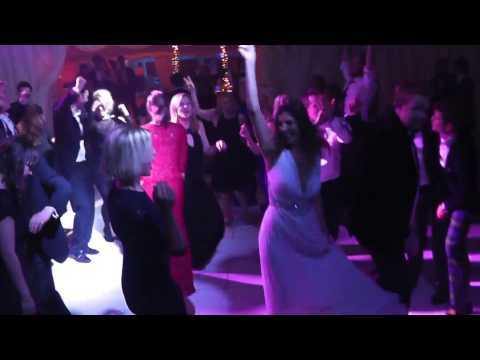 Graham is a fantastic Glasgow based wedding DJ with an impressive track record and an enviable reputation. He's also one of the good guys in the business; a proper professional DJ and a gentleman. The world is full of people who think that all there is to being a DJ is having a set of decks and a kid on PA system with some lights out of Argos. 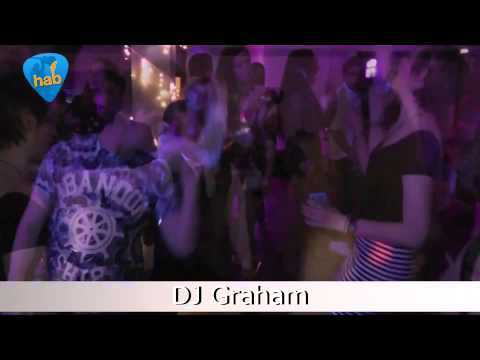 That's not the Hireaband way and certainly not what you should expect from Glasgow based DJ Graham. Graham runs his DJ business full time. He's invested heavily in equipment, reliable transport and of course every single tune you can think of. In fact all his songs are bought and paid for, not illegally downloaded inferior internet rip offs! Graham's warm, friendly character comes across at every booking. He is extremely experienced and can handle every type of event from a 21st birthday party to a high end corporate event. HIs favourite kind of bookings are weddings however. He excells at filling dance floors up and down th country and can count venues such as Turnberry, Stirling Castle, Cameron House, Murrayfield Stadium, The Balmoral, Dynamic Earth, The Glasgow Science Centre and many others as regular party locations. Graham has a HNC/HND in music business promotion and management and this along with more than 10 years of experience as one of the most in demand DJ's in Scotland, means that you can rely on him to deliver a successful event every time. Graham is obsessed with customer care. He'll attend to every detail so that you can relax, confident that your wedding or event is being handled by a true pro. He's recently been awarded a Platinum DJ Mark Award. This is awarded to DJ’s in recognition of exceptional service and for continually receiving excellent feedback. (Only a handful of other DJ's in Scotland are in receipt of this award). All of Graham's equipment is tested and insured. He's a member of the AA which means that even a vehicle break down won't stop him getting to you. If you really want to add the WOW factor to your event, Graham can supply mood lightin, custom gobo's or even a silent disco option! We're proud to be able to offer the services of this outstanding DJ to our clients. Enquire Now to see how surprisingly affordable this can be. Sorry, DJ Graham doesn't have any photos right now Send us an enquiry and we'll get back to you, or check out the rest of the act profile. 1.Any tune you like. Just ask! ?Graham provided the music at our Christmas party and I found him to be very friendly, polite, professional and reliable. Hi Graham, Thanks for a superb evening of entertainment.Craig Willington.